Dance Marathon Involvement: I started my Ball State University Dance Marathon journey serving on the Riley Relations committee for BSUDM 2015. I was then fortunate enough to have been selected to serve on the BSUDM Executive Board for BSUDM 2016 as the Director of Recruitment and once again for BSUDM 2017 as the Director of Community Relations. For BSUDM 2018, I was humbled and honored to have been selected to serve as President to fulfill my dream and goal of leading an organization that means so much to me. Overall, serving three years on the BSUDM executive board positively impacted my life in several ways that I am beyond grateful for. During my four years involved with BSUDM, I personally fundraised $13,628.95 for Riley Hospital for Children. 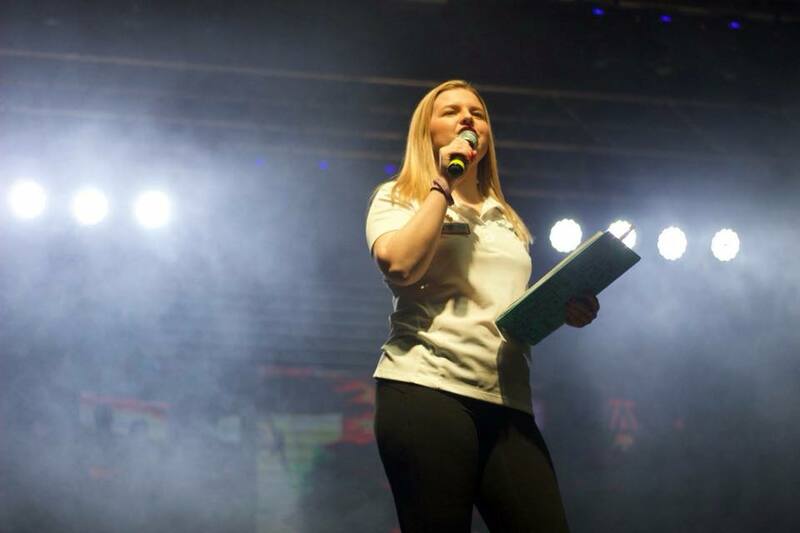 Campus/Community Involvement: While being involved with dance marathon all four years of college, I was additionally involved on Ball State’s campus as a member of Alpha Omicron Pi sorority and serving on the Ball State Homecoming Court in 2017. I have also held three internships at the Indianapolis Motor Speedway, Indiana Sports Corp, and LST Marketing. Awards/Recognition: In the fall of 2017, I was honored to have been selected to represent BSUDM by serving on the Ball State University Homecoming Court. Post-Graduation Plans: I plan on working at the Indianapolis Motor Speedway upon graduation for the month of May to assist with the 102nd running of the Indianapolis 500. Then, I am hoping to start a marketing, public relations, or communications job in either the non-profit or sports industry. I also plan on continuing to stay involved with BSUDM by getting involved with our Alumni Association and assisting with the planning of our alumni gala. Morgan speaking at BSUDM’s 2018 Dance Marathon event. In August of 2013 my little brother, Jack, was diagnosed with Acute Lymphoblastic Leukemia at the age of fourteen years old. When he was first diagnosed, I knew there was something I wanted to do to help the situation and I knew that becoming more involved with Carmel High School Dance Marathon and then carrying my passion of dance marathon to Ball State was how I wanted to give back to my brother’s battle with leukemia. Thanks to Riley Hospital for Children, my brother is now a happy and healthy freshman at the University of Arizona. I couldn’t be more grateful for all that Riley Hospital did for my brother as well as the hundreds of Riley kids I have met throughout my dance marathon journey. Dance marathon not only impacts the lives of patients and families at Children’s Miracle Network Hospitals but it also impacts the lives of those who are involved with supporting this cause and I couldn’t have been more grateful to support this cause during my four years of college. 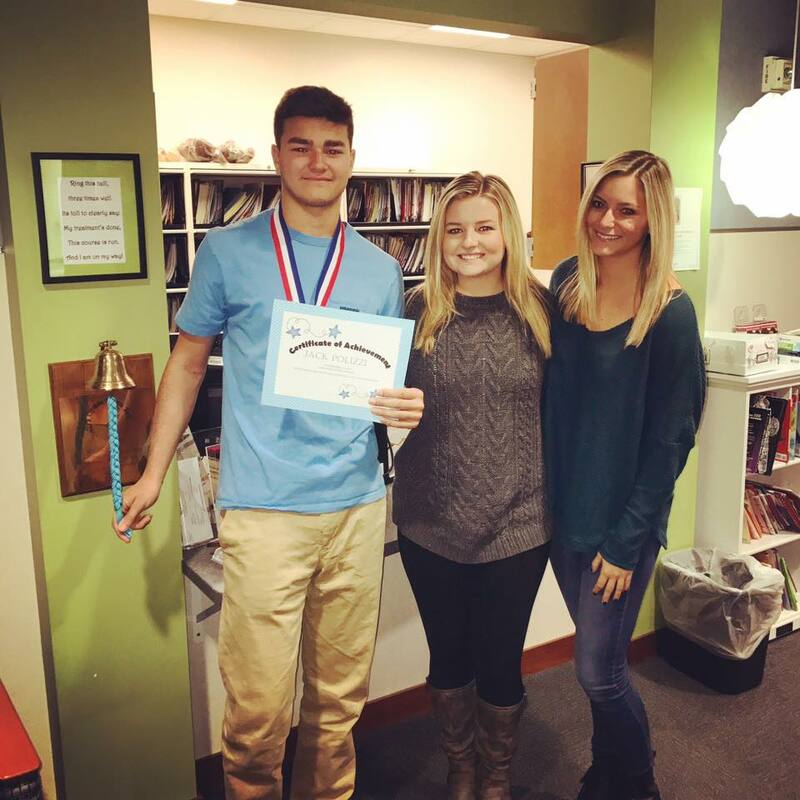 Morgan with her brother Jack and sister Avery at Riley Hospital for Children as Jack rang the bell to symbolize being cancer-free. People should donate to their local Children’s Miracle Network Hospitals because just about everyone knows at least someone who has been impacted by their local CMN Hospital. CMN Hospitals exist to create a safe, comforting, and child-friendly environment for children to go to during their times of battling an illness or injury. If everyone in the world gave just a little bit of time or a monetary donation to their local CMN Hospital, the future of children’s health will be in better hands. We are one generation fighting for the next generation so that maybe the next generation won’t have to fight for the generation after them. Students should get involved with Miracle Network Dance Marathon on their campus for several reasons. Joining dance marathon allows college students to find their family away from home, develop a passion, grow their leadership skills, give to a cause that is impacting the world, and be a part of a community that is uplifting. College is a difficult time for many college students of facing personal struggles and battling the hardships of maintaining sufficient grades while working a job. Dance marathon on college campuses is an escape from personal struggles and an escape from any negativity going on in the world. Dance marathon is a positive and happy environment that is dedicated to making an impact on the world through coming together as a campus and community on college campuses to do so. BSUDM’s 2018 fundraising total reveal. Dance Marathon has impacted me as a student leader in many ways and provided me with skills that I will be forever grateful for. When I first came to Ball State University, I felt lost and scared. I went to a high school in which I graduated with 1,200 people in my class and it was very difficult and competitive to be involved. While I was a participant at my high school dance marathon, it wasn’t until my senior year of high school when I realized my passion for dance marathon due to my little brother, Jack, being a patient at my local Children’s Miracle Network Hospital. When I first came to college, I knew that deep down I was a strong leader that was passionate about changing the world in some way. When I first joined BSUDM, I knew that BSUDM was what I wanted to pour my entire heart into during my collegiate years. After four years of serving BSUDM and three of those years of serving on the executive board, I am very proud and fortunate for how much this organization has helped me grow as a leader. 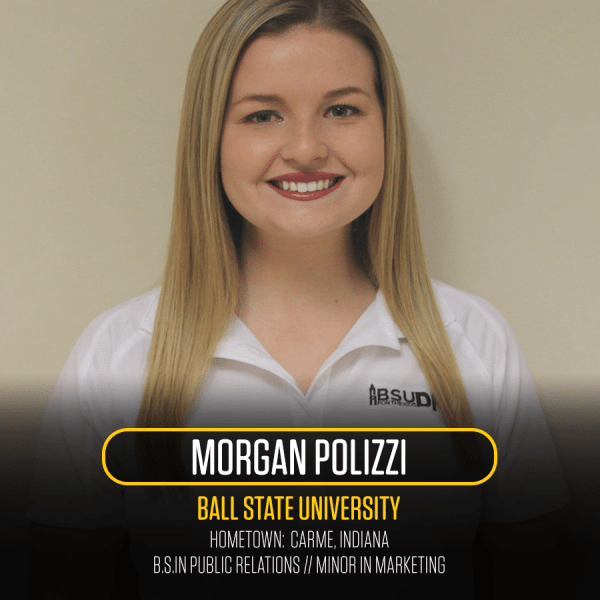 My involvements with BSUDM allowed me to find my passion, give back to the hospital that saved my brother’s life, encouraged me to be a strong and confident leader, and provided me with opportunities to be prepared and ready for life after college. Throughout my four years of serving BSUDM and my three years of serving on the executive board, I am most proud of changing the culture and perspective of BSUDM 2018 during my year as president. One of the first decisions that I made as president was that we were not going to set a public monetary goal, which is something BSUDM had not done for quite some time. In 2017, our fundraising goal was $765,000 and we did not reach this goal. Our campus felt as if we were not successful just because we did not raise a specific number at the end of the event. As president for BSUDM 2018, I strived to create a new culture that was not focused on the dollar sign but instead focused on the kids. 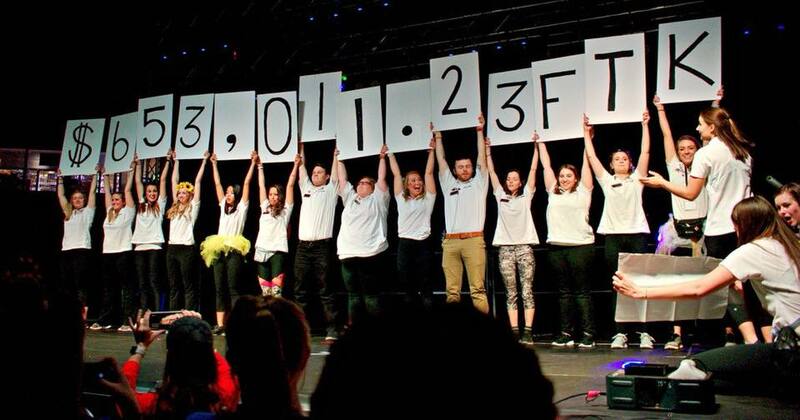 Therefore, our goal for BSUDM 2018 was to simply be “More Than A Marathon.” Our “More Than A Marathon” campaign was a year-long campaign that ultimately helped our entire campus and community understand that BSUDM is more than the dollar amount held up at the end of the event, more than a rave, and more than 1,300 students at an event. This cultural change that I strived to implement during my presidency has reminded BSUDM of its core value of always being for the kids. 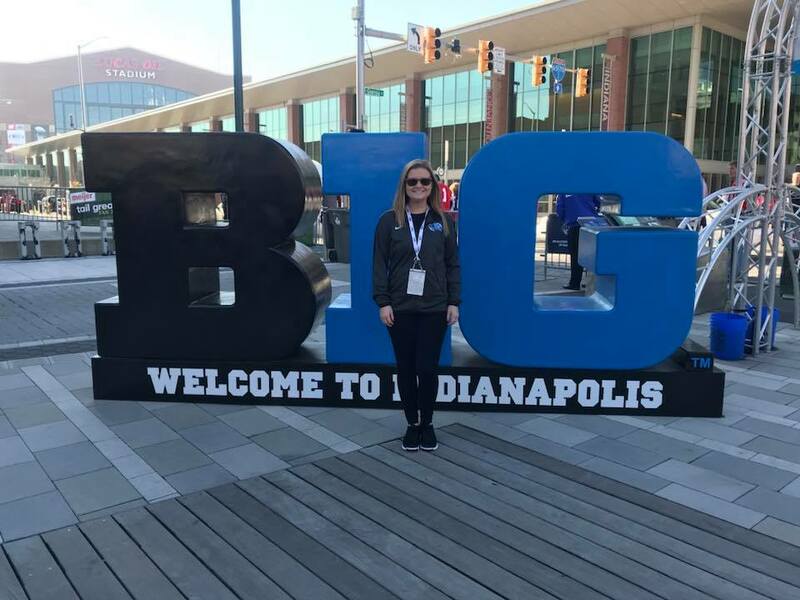 Morgan during her internship with with Indiana Sports Corp.